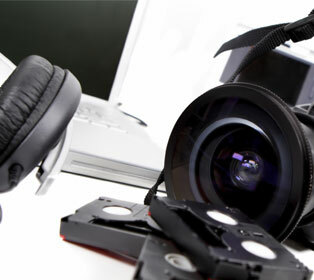 s a freelance video editor, one of the biggest and most costly issues facing in-house video production companies is storage. Primarily working for Wilkinson Productions and the Planet Audio Group, my video editing background consists of Apple editing systems based around the fantastic Final Cut Pro™ Studio. 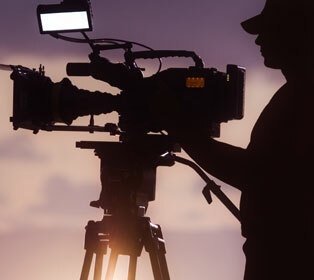 With High Definition becoming evermore affordable and most broadcasters demanding HD material, storage is even more important, not just in terms of capacity but also speed, reliability, and economy. 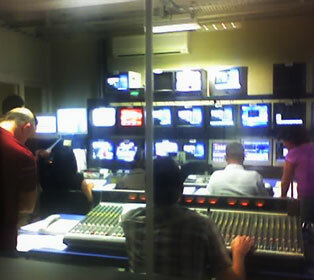 I was fortunate enough to be asked to help demonstrate a complete HD editing system for £3K ($5,885.00 USD) at the Broadcast Live Show in June 2006 for an intense 3-day session. Remarkably, the price of a similar HD system 3 years previously cost an eye-watering £22K ($43,160.00 USD). One of the major factors in this incredible price drop was the storage solution on demonstration, the Sonnet Fusion D500P E-series 5-bay Serial ATA drive enclosure and the port multiplier-aware Tempo SATA E4P host adapter card. When I was told that I was going to be using a new SATA RAID storage in the demonstration system, I had visions of massive, noisy enclosures. I was very wrong indeed. The Fusion D500P E-series is a beautifully built and sleek, brushed aluminum enclosure designed with Power Mac® G5 and Mac Pro owners in mind. The five light blue LED activity lights on the front of the enclosure complement the well thought out design. If you compare the prices of Apple's Xserve Fibre Channel RAID system to a similarly configured Sonnet Fusion D500P E-series system, there is just no comparison. For high-end professionals on a budget looking for high-performance Fibre Channel capabilities, the Apple solution is by no means a viable option. Lets do the math: Apple's 1TB Xserve RAID solution costs £4199.00 ($5,999.00 USD, US Apple Store). A single Fusion D500P E-series enclosure configured with 1.25 TB of storage and a port multiplier-aware card costs just £849 ($1,670.00 USD)+VAT. That's roughly 20% of the Xserve! In a 14 drive configuration, Apple's Xserve RAID offers read/write performance at up to 380 MB/s and 301 MB/s respectively, whereas four Sonnet Fusion D500P E-series enclosures with twenty drives set up in a RAID 0 configuration offer read/write performance at up to 710 MB/s (!!) and 609 MB/s respectively; a single Fusion D500P E-series enclosure with 5 drives should offer read/write performance at up to 237 MB/s and 209 MB/s respectively. Apple's Xserve RAID can be configured with a maximum of 10.5TB of storage, while four Fusion D500P E-series enclosures equipped with 20 drives will give you 20TB capacity (using 1TB drives). The beauty of creating a storage system with Fusion D500P E-series enclosures is that it can grow with you; as your demand for performance and capacity increases, simply add drives and enclosures. Now that Express/Card slot-equipped portables such as the MacBook® Pro are available, laptop users can take advantage of this technology as well (albeit through 1.5GBs interfaces). Sonnet's Tempo SATA Express 34 card allows notebook users such as myself (a 17" MacBook Pro owner) to take advantage of the Fusion D500P E-series as a portable RAID system. Sonnet Tempo SATA E4P Port Multiplier-Aware PCI Express Card. Port multiplication has been on audio and video editors' wish lists for some time, as Point-to-Point (PTP) systems have always been limited by the number of ports of the editing system. The port multiplier-aware Sonnet Tempo SATA E4P host adapter card supports up to 4 drive enclosures with the capability of having up to 20 hard drives in your editing system-incredible performance and storage capacity potential, to say the least. Obviously, the greater number of enclosures you have the better the overall RAID performance. This is particularly relevant to HD video editors who require high storage capacity and performance that is good enough to achieve complex compositing with multiple uncompressed streams of HD video. In terms of numbers, port multiplication technology (PM) is not quite as fast as that of PTP systems. Using a single 3Gb/s pipeline with 5 drives is a tall order, however the geniuses at Sonnet have done some very clever things. It is a well-known fact that RAID systems become slower as they get fuller. Information I gleaned from Sonnet indicates that from their tests better performance is sustained for longer. Once again, those searching for HD systems on a budget but demanding high standards from their kit should look no further. You must be thinking, “What are the disadvantages?” Well in all honesty I cannot find ANY significant ones. Setting up was extremely easy, it's a simple session with Apple's disk utility that configures it to what ever RAID level you require and very quickly too. Over my 3-day session with the 2 Fusion D500P E-series drive enclosures and the Tempo SATA E4P card I can say that I never had to reboot them and they worked faultlessly with multiple streams of uncompressed 10-bit HD video. I would heartily recommend this solution for anyone who requires a reliable and high performing storage solution, not just those on a budget but for those of you who want true value for your money. Part of my job description requires me to compose scores for TV and film. Noise is always an issue when working in small video edit suites that also double as sound studios. The Fusion D500P E-series produces very little noise-only a slight whisper of air is detectable. Demonstrating this benefit to clients was particularly interesting, as they are used to their noisy FireWire 800 arrays.